Flagged | Just Shooting Memories! 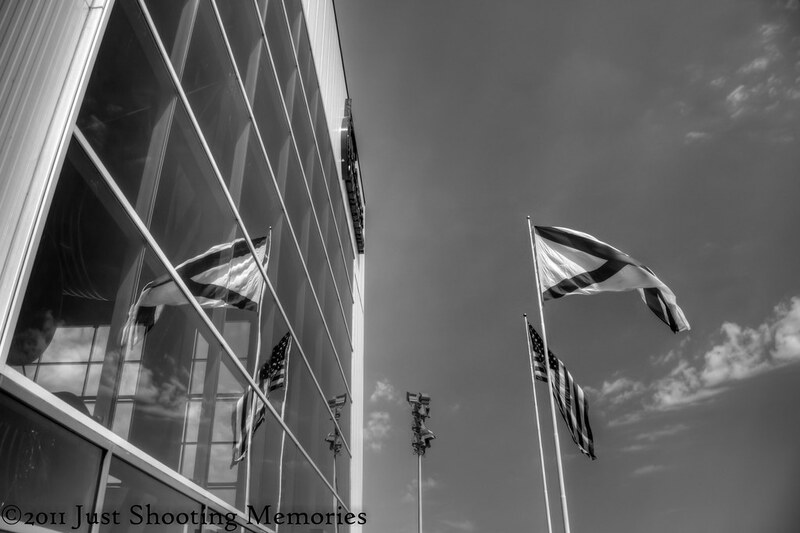 I was exploring the US Space and Rocket Center in Birmingham, Alabama, when I noticed the flags flying outside. It just happened that the end of the building was a huge glass wall with the tail end of a Saturn V rocket just waiting to blast through it. The flags made such a beautiful reflection that I could not resist. It is finally time for football season. I can’t wait. It means nights are going to start cooling and soon winter will be here. Fall and winter have to be my favorite seasons of the year. I have already started planing some fall foliage photography outings. My only problem will be wrenching the camera from my wife’s hands. Oh my. Did I just say I was planning on being one of those “leaf lookers”? It is official, I have lost my mind.